The only fixed place in the Lobby of the National Bank of Denmark (1965 - 71) is a stairway of glass and steel. 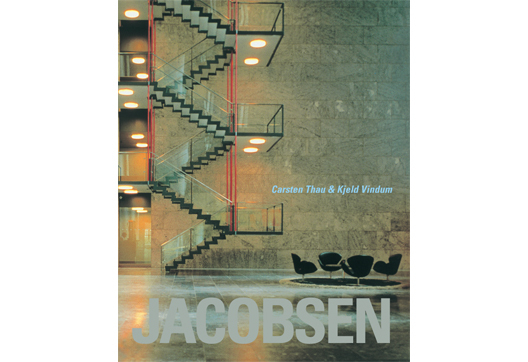 The authors, professor Carsten Thau and associate professor, architect Kjeld Vindum, worked on the book, the largest ever written about Arne Jacobsen, for ten years, constantly discovering new aspects of this natural talent that had to be investigated. The first section describes his life, inspirations and results, while the second part contains detailed analyses of selected works.